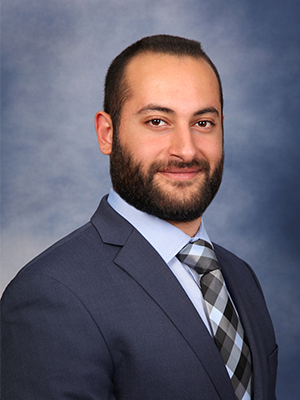 Dr. Aprahamian’s research interests lie in the application of Operations Research methodologies and statistical tools to problems arising in healthcare systems and public policy decision-making. Recently, his work has focused on the development of combinatorial and discrete optimization techniques to obtain optimal risk-based screening policies and effective algorithms for public health screening. Applications of interest include donated blood screening, population-level screening for sexually-transmitted diseases, and newborn screening for genetic mutations. H. Aprahamian, D. R. Bish, and E. K. Bish. Optimal risk-based group testing strategies, with equity considerations. Forthcoming in Management Science. H. Aprahamian, E. K. Bish, and D. R. Bish. Adaptive risk-based array pooling in public health screening. IISE Transactions, 2018. H. Aprahamian, D. R. Bish, and E. K. Bish. Optimal group testing: Structural properties and robust solutions, with application to public health screening. Under second round of review with INFORMS Journal on Computing. H. Aprahamian, D. R. Bish, and E. K. Bish. Residual risk and waste in donated blood with pooled nucleic acid testing. Statistics in Medicine, 35(28):5283-5301, 2016. H. Aprahamian, B. Maddah. Pricing Asian options via compound gamma and orthogonal polynomials. Applied Mathematics and Computation, 264:21-43, 2015. N. Nguyen, E. K. Bish, and H. Aprahamian. Sequential prevalence estimation with pooling and continuous test outcomes under limited resources. Statistics in Medicine, 37(15):2391-2426, 2018.